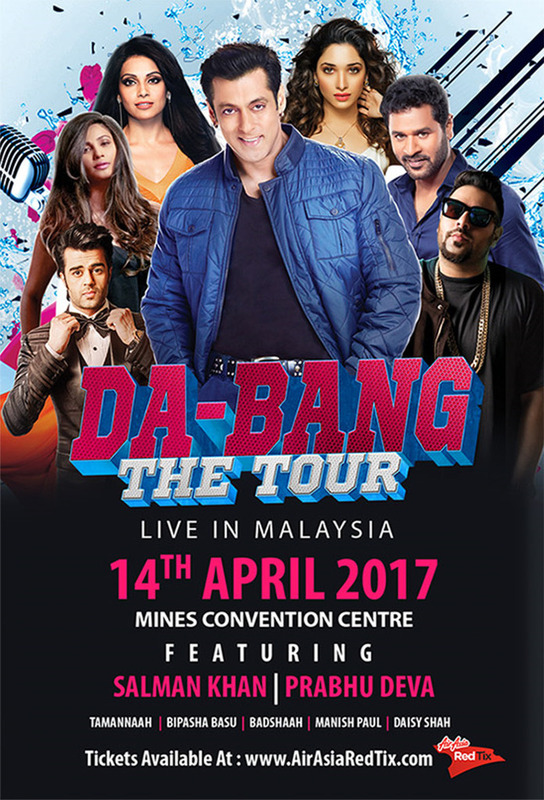 Bollywood superstar Salman Khan is bringing his Da-Bang tour to Malaysia this April along with a team of famous Bollywood celebrities for what he is touting as the biggest Bollywood concert in Malaysian history! 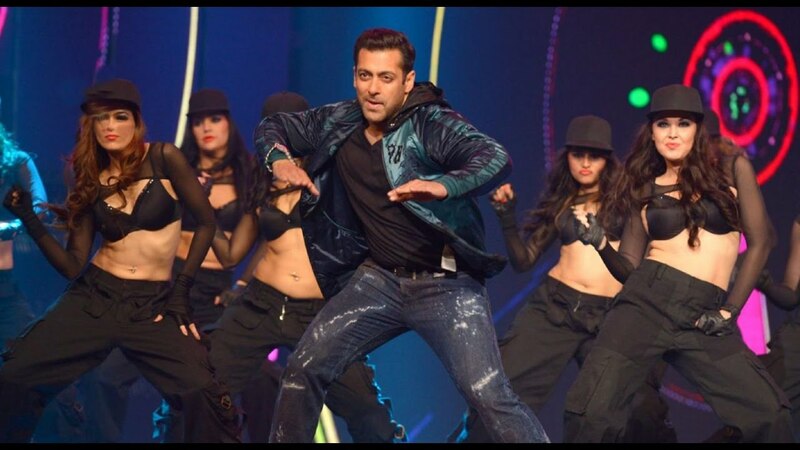 Get ready to meet the multi-award winning talent who was last seen in one of 2016’s biggest Bollywood blockbusters, “Sultan”, as he dances to some of his iconic songs from his famous movies like “Dabangg”, “Dabangg 2”, “Bajrangi Bhaijaan” and more. The 51-year-old actor will be touring with A-list Bollywood stars such as renowned Indian dance choreographer Prabhu Deva, “Devi” actress Tamannaah, “No Entry” actress Bipasha Basu, rapper Badshah, television host Manish Paul, and “Jai Ho” actress Daisy Shah. Organised by GHC Events, “Da-Bang The Tour Live in Malaysia” will take place at the Mines Convention Centre on 14 April 2017. Tickets can be purchased at redtix.airasia.com with prices ranging from RM111 to RM2,222. I am a big fan of this Bollywood superstar. He is real Dabang of this industry. Thanks for sharing this news. Here is BollywoodUncle which provides the latest news of superstars, new releases information about celebrities, their personal life and their latest fashion. Another season of Bigg Employer is ready to start soon. We also know that commoners have been asked to audition for Bigg Supervisor 11. It appears like the future season is just as before going to be always a mad blend of commoners and superstars. The speculations across the contestants of the Bigg Manager house is also at its maximum. But the labels that have cropped up in the Bigg Supervisor 11 set of contestants can be no real surprise to many. Apparently, a list was just lately leaked of contestants contacted for the Salman Khan-hosted show and it includes a few popular brands, one which is YouTube discomfort Dhinchak Pooja. Thanks a bunch for sharing this with all of us you actually know what you are talking about! Please also visit my site.